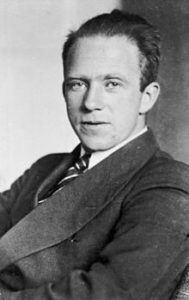 In 1972, I met Werner Heisenberg, one of the giants of modern physics, whose book Physics and Philosophy had a decisive influence on my thinking and, in fact, determined the trajectory of my entire career as a scientist and writer. I gave a detailed account of my conversations with Heisenberg and of my personal impressions of him in my book Uncommon Wisdom (Simon and Schuster, 1988; pp. 40ff.). At that time, I had just begun to work on The Tao of Physics, and so I was naturally curious to hear Heisenberg’s thoughts on Eastern philosophy. He told me to my great surprise not only that he had been well aware of the parallels between quantum physics and Eastern thought, but also that his own scientific work had been influenced, at least at the subconscious level, by Indian philosophy. Here is how I recorded that part of our conversation. After the publication of my account, I tried repeatedly to find an independent confirmation of Heisenberg’s significant meeting with Tagore, but I did not succeed. I looked through several biographies of Tagore and spoke to Tagore scholars, but could not find anyone who knew about that meeting. For many years I felt slightly uncomfortable thinking that my recollection of my conversation with Heisenberg might be the only source of this historical encounter. It was only very recently that a friend of mine, Brazilian historian of science Gustavo Rocha, showed me two sources in which the Heisenberg–Tagore meeting is mentioned. They confirmed my recollection with only minor differences. In his biography of Werner Heisenberg, the physicist Helmut Rechenberg, who was a student of Heisenberg, gives a detailed account of Heisenberg’s 1929 lecture tour around the world, which took him from Germany to the United States, Japan, India, and back to Germany (see Helmut Rechenberg, Werner Heisenberg — die Sprache derAtome, pp. 797 ff.). On October 4, 1929, Rechenberg writes, Heisenberg visited the University of Kolkata, where he was received with great honors by the entire faculty, and in the afternoon of that day he visited Rabindranath Tagore. On the following day, Heisenberg wrote to his parents: “Nachmittags war ich bei dem indischen Dichter Rabindranath Tagore zu Gast…” (“In the afternoon, I was the guest of the Indian poet Rabindranath Tagore…”; Rechenberg, p. 808). At our meeting in Munich, 43 years later, Heisenberg used very similar words. “In Indien war ich bei Rabindranath Tagore zu Gast,” he told me, “und wir sprachen lange über Wissenschaft und indische Philosophie.” (“In India I was the guest of Rabindranath Tagore, and we spoke for a long time about science and Indian philosophy.”). 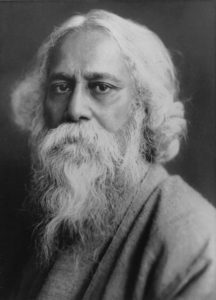 At that time, I misinterpreted his words “…war ich bei Rabindranath Tagore zu Gast” as meaning that he was a house guest of Tagore; and “wir sprachen lange…” as meaning that they had several long conversations, instead of just one conversation during a long afternoon. In my view, Heisenberg may not have been very impressed by Tagore’s remarks right away. But I believe that over the years, he absorbed Tagore’s expositions much more fully, and that late in his life, when I met him, he had realized their influence on his thinking. Indeed, when I sent Heisenberg a copy of my first article about modern physics and Eastern mysticism, titled “The Dance of Shiva: The Hindu View of Matter in the Light of Modern Physics,” he replied: “Haben Sie den besten Dank für die Übersendung Ihrer Arbeit ‘The Dance of Shiva’. Die Verwandtschaft der alten östlichen Lehren mit den philosophischen Konsequenzen der modernen Quantentheorie haben [sic] mich immer wieder fasziniert…” (“Many thanks for sending me your paper ‘The Dance of Shiva.’ The kinship between the ancient Eastern teachings and the philosophical consequences of the modern quantum theory have [sic] fascinated me again and again…”; letter of July 9, 1971). Heisenberg’s acknowledgment of the parallels between quantum theory and Indian philosophy gave me tremendous moral support while I wrote The Tao of Physics, and I am delighted that I have now finally found confirmation of his historic encounter with Rabindranath Tagore, which he described to me so emphatically during our conversation.